Fleming’s Seafood is a small sole trade/company and is operated by Gay and Freda Fleming. 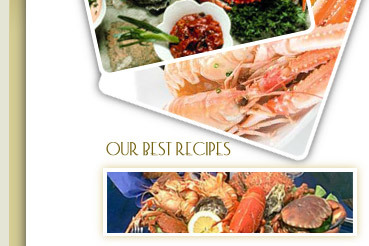 There are two strands to the business – Home deliveries of frozen fish and wholesale frozen prawn deliveries. Gay has been involved in the fishing industry since finishing school in the late seventies. He started fishing from Spiddal with a currach and ended up in 1980 owning a trawler landing fish in Galway and Rossaveal. He then moved into wholesale fresh fish operating from a small unit in Spiddal supplying fresh fish to shops and restaurants. In 1986, Gay and his wife Freda opened a shop in Dominick Street in Galway. They had a very successful business for thirteen years – during which time they started a seafood delicatessen making fish pies, chowder, prawn cocktails and more. There was a huge demand for the chowder is still asked today. In 1999, the direction of the business changed to where it is today. Gay and Freda acquired a small factory unit in Rossaveal and closed the shop in Galway.